Jameson’s Carriage Hire, Tring, Hertfordshire. Horsedrawn carriage hire for weddings, birthdays and special occasions. 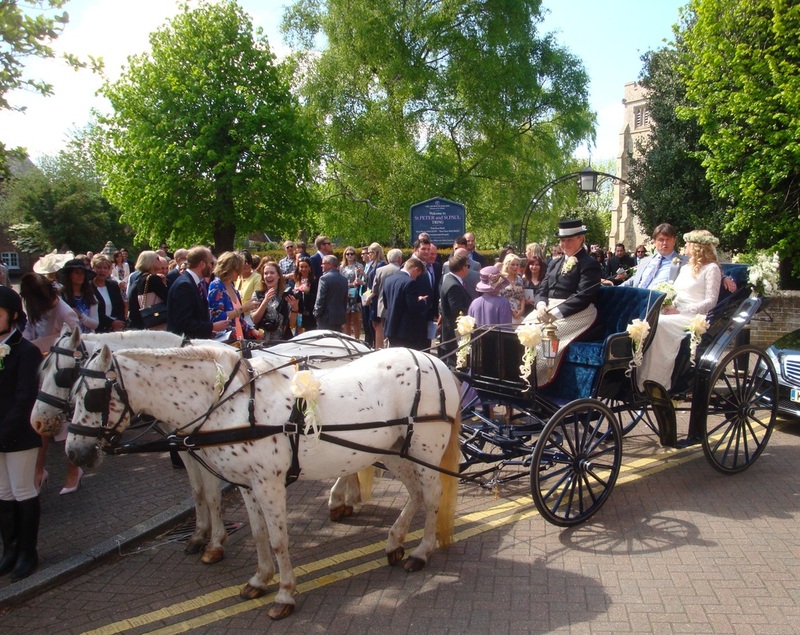 With a wealth of experience over many years, Jameson’s offer a unique personal wedding transport service using our two British Spotted 13 hand ponies and a choice of either the ‘Dainty’ or ‘American Surrey’ carriages. Service covers Buckinghamshire, Hertfordshire, Bedfordshire. Quotations for other areas available upon request.